Sehr schade, dass dieser wunderschöne Cache nicht publiziert werden konnte. 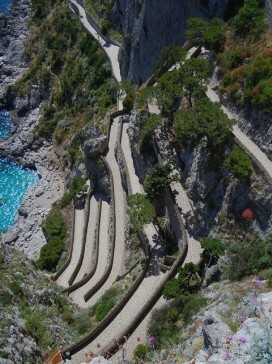 Via Krupp is a historic path of serpentines on the south of the Isle of Capri. The walk is little less than 1.350 meters long and built into the precipice of Monte Castiglione. 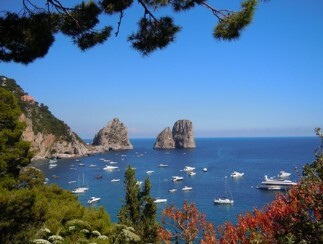 It was built by the German industrialist Friedrich Alfred Krupp who spent the winter months regularly on Capri at the turn of the century. 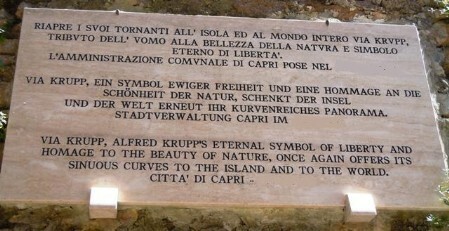 Via Krupp was started in 1900 and was accomplished two years later shortly after Krupp’s death on November 22 nd 1902. 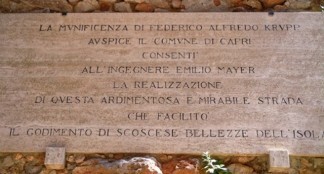 The steep path connects the Giardini di Augusto - the former gardens of Emperor Augustus (N 40° 32.817, E 14° 14.605) - with the Mediterranean coast. It covers about 100 m difference in altitude in eight hairpin bends. Krupp had the path constructed to get from his luxury hotel Quisisana to the Marina Piccola quickly and safely.After the Via Krupp had been closed for security reasons (falling rocks) in 1976 the path had been reopened to the public some years ago. Go to the given coordinates and take a picture of you together with your GPS-Device and Via Krupp in the background. Please attach this picture to your log after approval. You have to answer the following two questions first and send them to the owner's account. If your answers are correct, you will receive a logging approval. When was Via Krupp reopened to the public after reconstruction? What is the name of the engineer who built Via Krupp? Log entries that indicate the solutions or without an individual made photo will be deleted. There is no box at the specified coordinates. This cache has been archived, but is available for viewing for archival purposes. This cache has not been reviewed yet. Once it is published, it will be listed on the site. Check the logs to see if the reviewers have left a note for this listing.